As I said in my previous post about Paris and how it stole my heart, there’s a lot to do in this city. 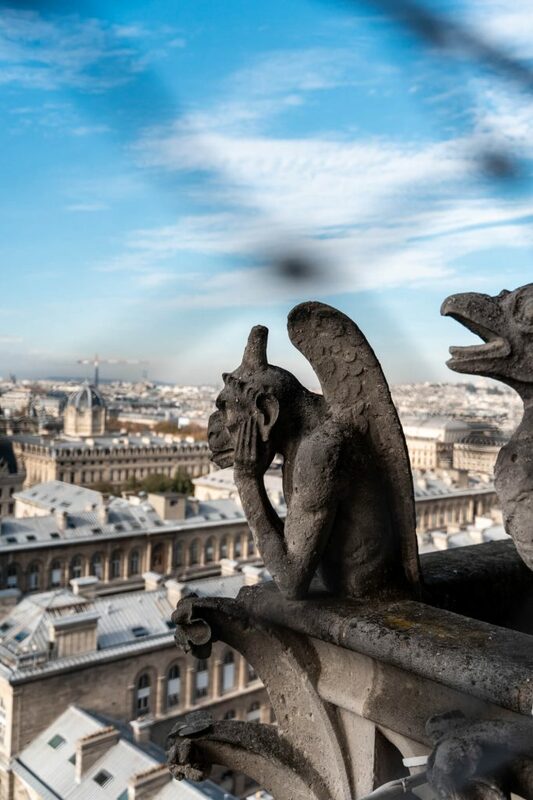 So when its your first time visiting Paris and you’re on limited time like a weekend visit, how do you decide what you should do? That’s the predicament that we had. We were only in Paris for five days so we had to plan out our trip to make sure that we saw and did as much as possible. That did mean sacrificing some parts of the usual touristy things, but I think we made the right choice. Having arrived pretty early on the morning of our first day, meant we had almost five full days in Paris and here’s what we got up to and our five day Paris itinerary of things to do over a long weekend. 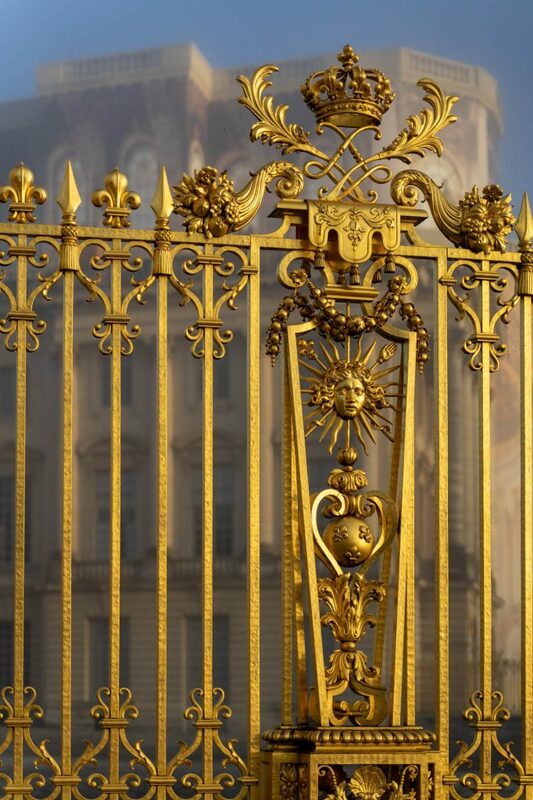 How to get to Versailles from Paris? One of the good things about Paris is the public transport. Paris has a large and pretty easy to get around Metro system that is relatively inexpensive. We hopped on this most of the time we were looking to get from A to B whilst exploring and it was great. A super timely service and from what I could tell quite clean and safe in our experience. A daily pass costs around 7,50€ (£6.60) and gives you unlimited access to trains, buses and trams in zones 1-2 which covers pretty much everything you would be looking to visit as a tourist in the city. There is also a multi day pass that can give you 1,2,3 or 5 consecutive days travel on the same networks that works out a bit cheaper, so if you’re staying for a few days then this is probably worthwhile to save a little bit of money. 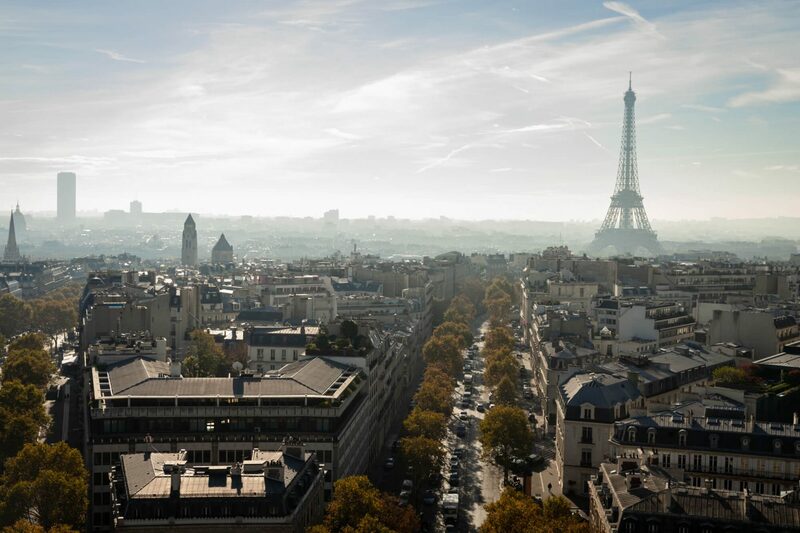 Alternatively there is also the Paris Pass, which also gives you access to over 60 city attractions as well as your transport over zones 1-3 included. We found out pretty quickly that we had actually arrived on a day that was a local holiday so it gave us the ideal excuse to spend the first day exploring without feeling like we should be doing more as many of the attractions were closed for the day. Having arrived in the early afternoon we decided to get to grips with the city and just figure out where everything was for the first day so that we could properly plan our weekend. First off we decided to explore the area closest to where we were staying. That area was Montmartre. Hopping on the metro using our day passes we got off at the Anvers station and made our way above ground. 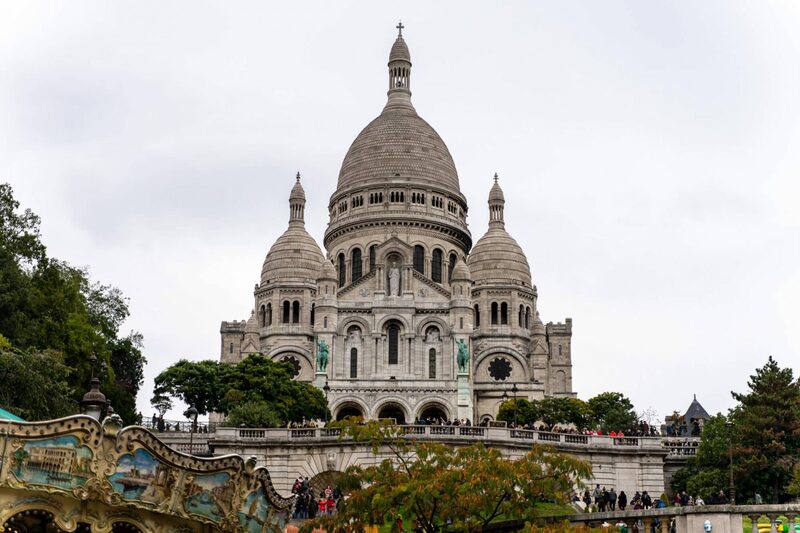 As you walk up through Rue de Steinkerque, the main thing that you will notice is the Sacré-Cœur overlooking the entire area from up on the hilltop. A stunning building that is one of the main tourist attractions in the city and with the number of people going about that was easy to see. Montmartre is quite a steep district so there were two ways for us to get up to the top of the hill. One involved lots of stairs and the other involved taking a ride on the funicular. We opted for the first as we wanted to get a proper feel for the area and the quaint cobbled streets that you can tell have been walked for hundreds of years before. 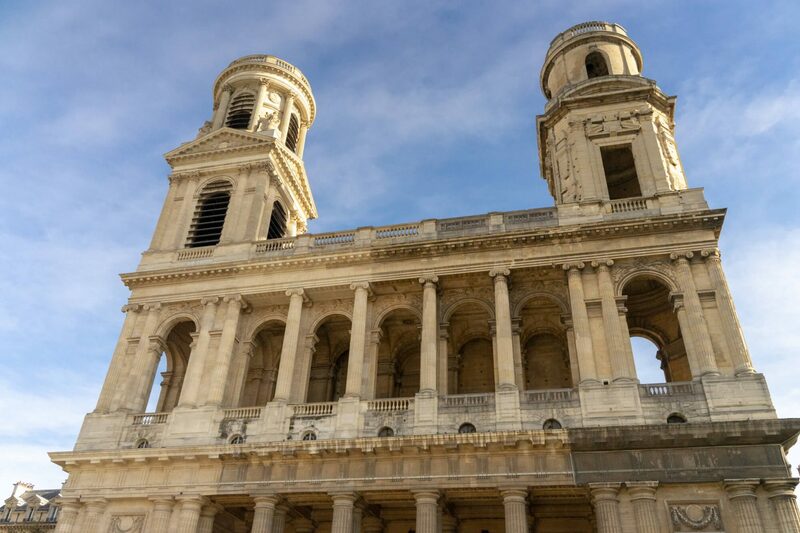 Montmartre is filled with history and it’s somewhere that you can just completely lose yourself wandering around so be sure to set a bit of time aside to explore it properly. Once we reached the top we took in the stunning views over the city for a while, getting the usual touristy photographs. The Sacre Coeur building is beautiful up close and if you fancy, you can buy tickets to go inside and have a tour guide for around €10. We didn’t go inside as it looked rather busy and we wanted to make the most of our first day in Paris. 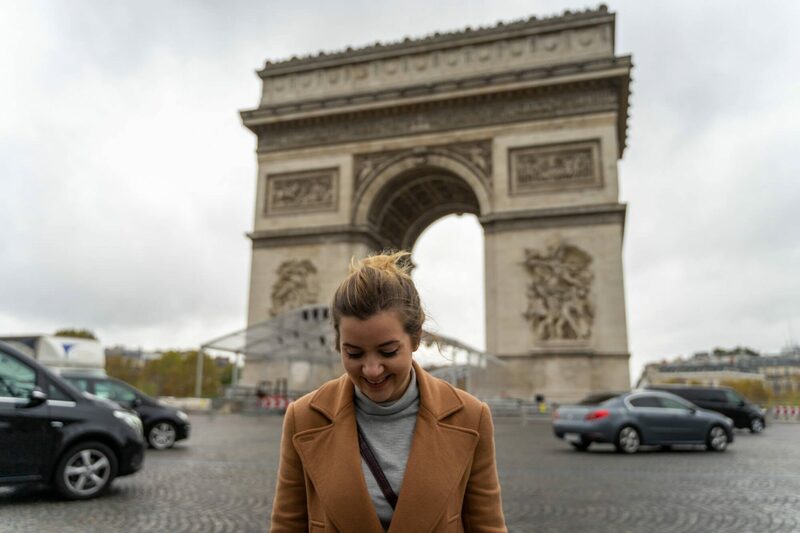 After exploring Montmartre for a little bit, we wanted to get our bearings of the city a bit more so jumped back on the metro and off to one of the main tourist and shopping areas, the Champs Elysee. Imagine the Parissiene version of Oxford Street in London. We wandered down, doing a bit of window shopping and every so often ducking into some of the stores that were open. Btw the H&M on the Champs Elysee has to be one of the biggest and best that I’ve been in for guys clothing. So much choice. 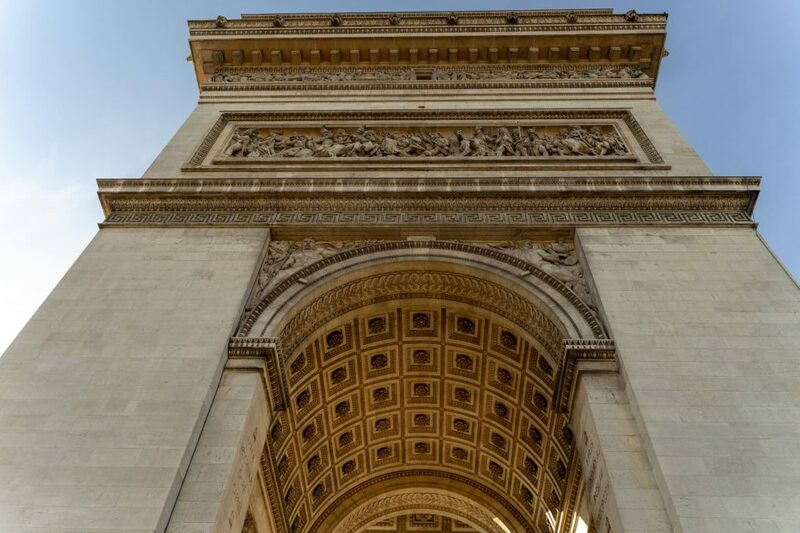 As we neared the bottom of the Champs Elysee we started to notice one of the main attractions in the city, the Arc de Triomphe. Although we didn’t go inside as we wanted to save that for another day, it was good to see it up close and I personally couldn’t believe how much bigger it was in reality over what I expected in my head. We got a couple of snaps, but vowed to return on a brighter day to get better photos and to go inside. 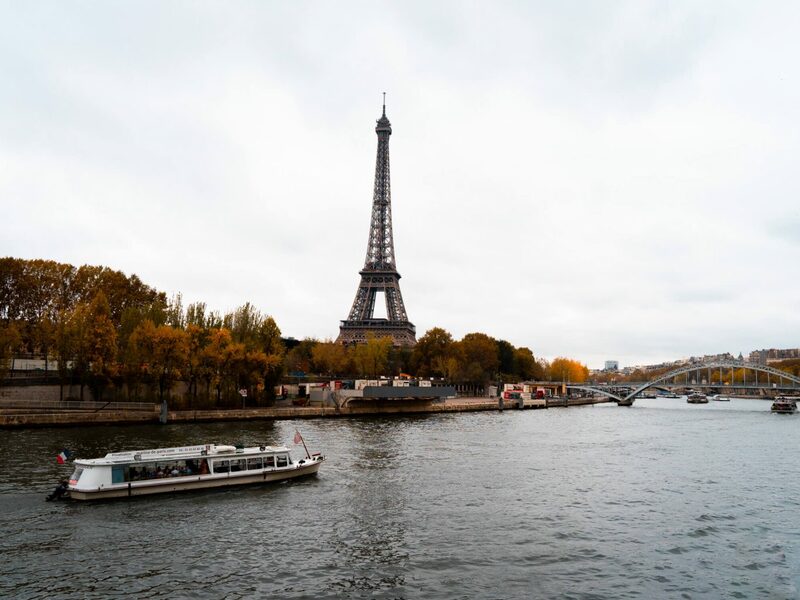 After a quick check of google maps on my phone thanks to having Three feel at home, so I can use my usual data abroad we realised that the Eiffel Tower was only a short walk away and we would get to take in the sights of the Seine on the way. We made our way down and crossed a bridge over the Seine river, grabbing a few photos on our way. It was easy to see from this point why people loved Paris so much. We had only been there a few hours and I had already allowed it to hop up my list of favourite cities that we had visited. Grabbing a few photos whilst we had the opportunity to as it was so quiet, we ended up getting caught in the rain and decided that it was time to call it a day and find somewhere to grab a coffee and pastry and start planning our days. Luckily we found Kozy Busquet nearby which was exactly what we were looking for. 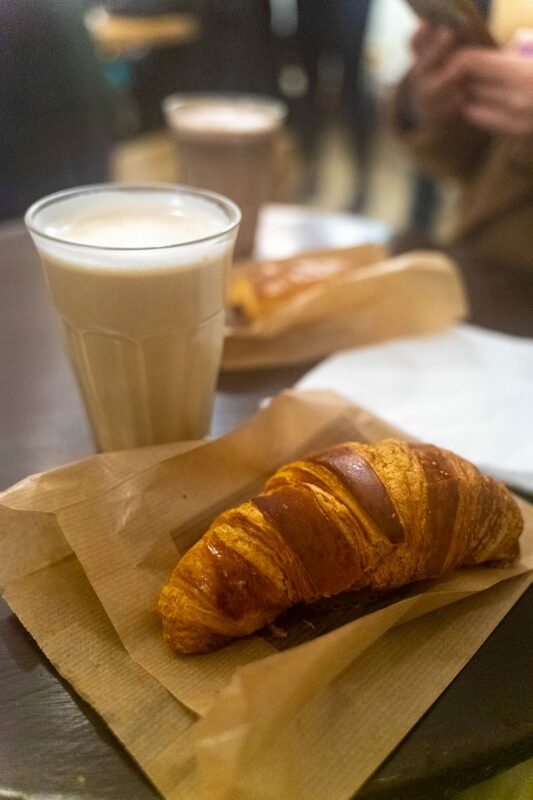 A small cosy cafe selling nice coffee and fresh pastries. An ideal way to end our first day exploring and getting our bearings. Having done a lot of wandering around the day before, we decided that we were best doing this day trip on the Friday, as weekends were meant to be a lot busier and I think it was going to be closed on the Monday. We aimed to be there as early as possible to ensure that we would be one of the first people in. This meant getting up at about 6am to catch the train from Paris to Versailles. Getting out to Versailles was actually pretty easy to do, we caught the RER line from Champ De Mars-Tour Eiffel station straight out to Versailles, which took around 30 minutes in total. Fare cost: Approximately €7.50 each for a return ticket. 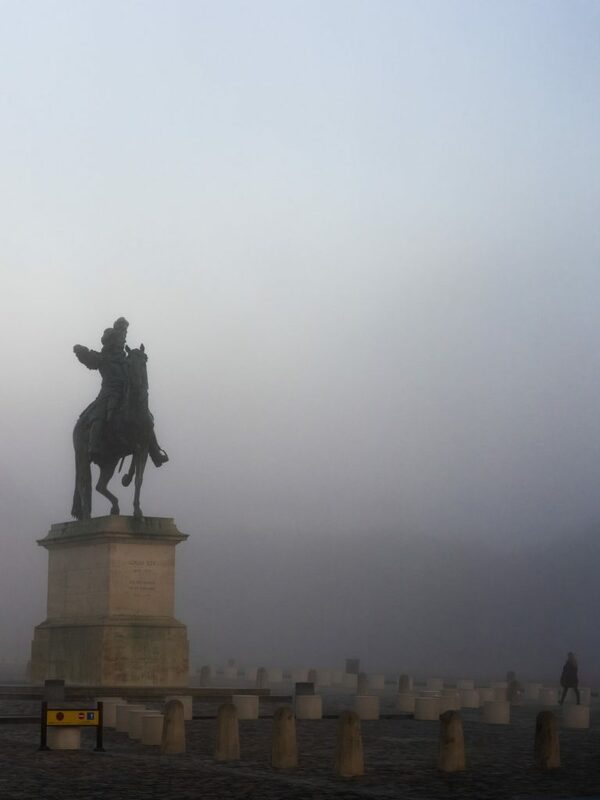 We arrived in Versailles to the most incredibly thick fog, you could barely see a thing and as we made our way in the direction of the Palace, the most amazing golden building started to appear above the mist. Thankfully, we had booked our tickets to the Palace in advance (which we highly recommend doing btw) meaning that we didn’t have to worry about waiting in a queue to buy tickets, before then having to join the main line to get inside. We were also the very first people there in the line at about an hour before opening time, but I was much happier to queue for an hour before opening and see the place empty than risk queuing for up to three hours and have it filled with hundreds of people. A major top tip right there. 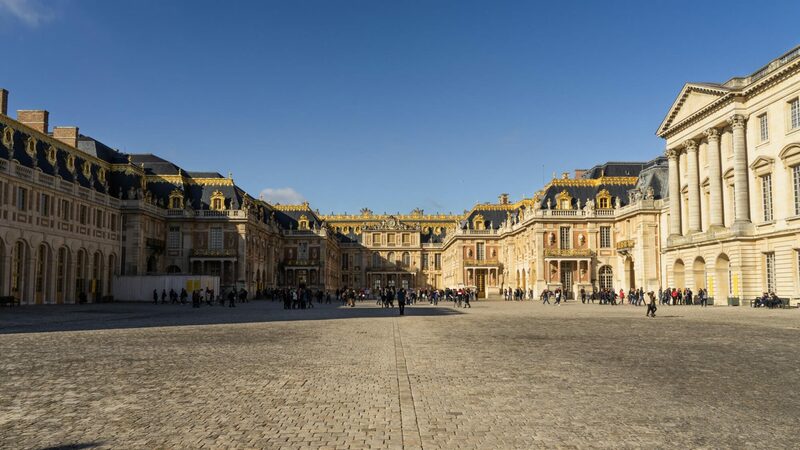 Rather than me spending time telling you about our trip around Versailles, you should go and read our Palace of Versailles post to see more detail about our trip. We ended up actually getting out of the Palace a lot earlier than expected at around midday, which meant that we could actually do more things than we had planned. Opting to stay in Versailles for a short while to wander around and see a little bit more of the city. 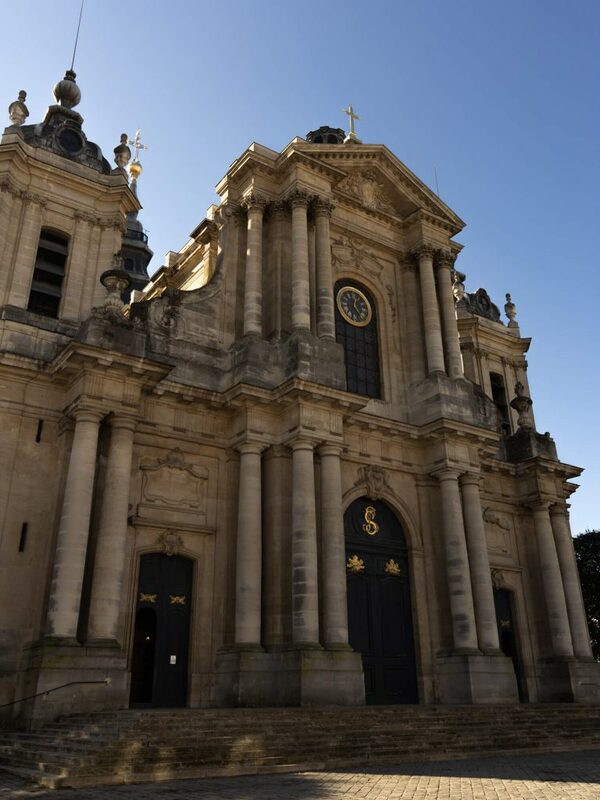 We made our way down the streets that were lined with cafes and magazine shops and stumbled across the Cathedrale St Louis which stood proud in the centre of an open square and illuminated by the midday sun. After a look around inside, we decided it was time to head back into the centre of Paris and grab some brunch. Happy to say that it was probably one of the easiest day trips from Paris that we could have chosen to do. A quick pit stop to refuel and we were ready to go for the afternoon. We jumped back on the metro using our day passes and headed towards the Louvre museum which apart from housing one of the most famous paintings ever created, the Mona Lisa. Was actually one of the scenes used in the Da Vinci Code. The queues weren’t actually too bad given the time of day but to be honest we weren’t too bothered about going inside and trying to fight our way through to see the same thing everyone else was going to see. The Mona Lisa. 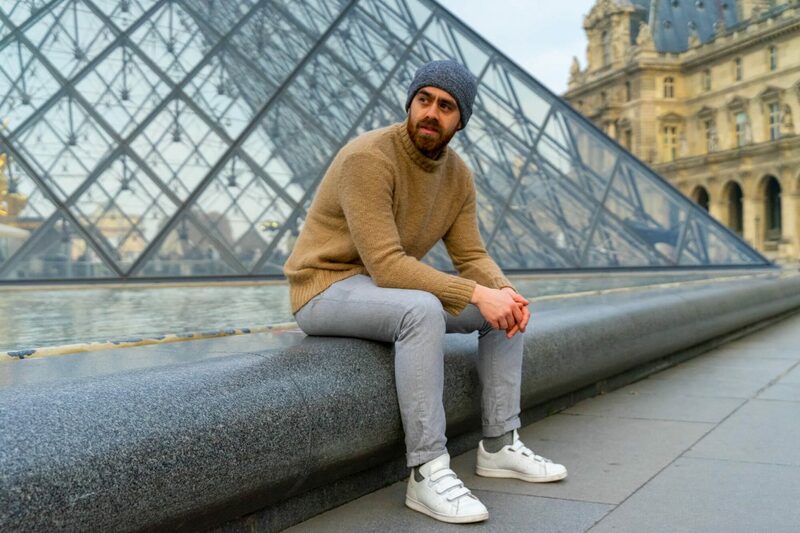 So we just grabbed a few photos of the glass Pyramid and headed off to wander around Rue De Rivoli and some of the shopping that Paris has to offer before heading to grab some crepes at La Creme De Paris and back to our hotel to rest up for the evening. Having been up extremely early for two days in a row, we had a little bit of a lie in on the third day of our trip. 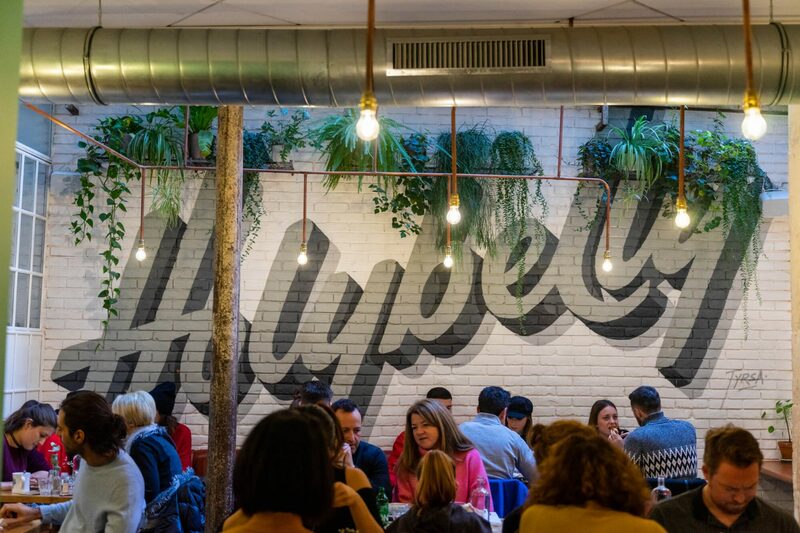 We had spotted this place on Instagram and heard it was great for brunch, so made our way along to Holybelly 5 in the 10th Arrondissement of the city. If you’re familiar with Breakfast Club in London then it’s a very similar set up. Basically the entire menu is breakfast, all day, and a good breakfast too. The interior is also incredibly instagram friendly, so you’ll be waiting in the queue for a while outside if you don’t get there early enough. We had to wait around 30 minutes for a table, which isn’t actually too bad. With our bellies full and our spirits high, we set off on another adventure of just exploring the city. A quick metro ride over to the 6th Arrondisement and we quickly stumbled across a small antiques market set in the courtyard at the front of the Church of Saint-Sulpice. 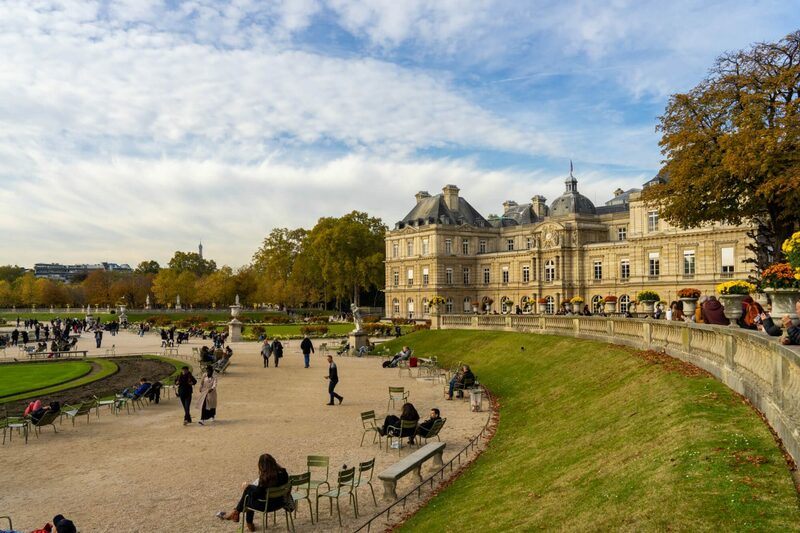 Jardin du Luxembourg was just a short distance further and allowed us to see more of the area as we made our way over. My first impressions of the park were that it looks like the perfect place to chill on a hot summers day. It was even still relatively busy given this was on a nippy November afternoon. There was a hive of activity with children playing with small model boats in the lake set in front of the Palace. The Palace and gardens were created in 1612 for Marie de’ Medici, the widow of King Henry IV of France and has been a popular tourist attraction for a number of years. 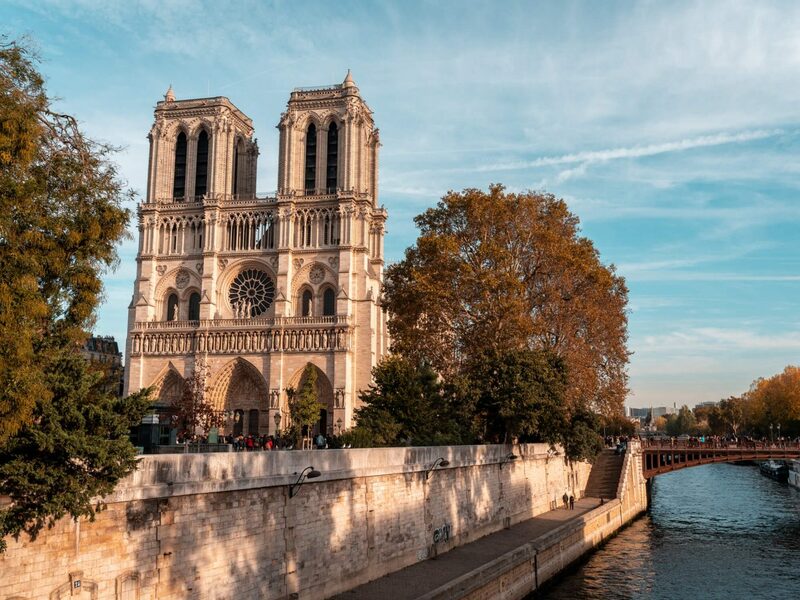 After spending a little while wandering around and checking out some of the statues, it was getting closer to golden hour and as the cathedral of Notre Dame was just a short walk away, we headed in that direction to try and catch some nice photos of the cathedral and of the Seine. I think we managed and I’m pretty happy at how some of these turned out. Our plan was then to return to the cathedral early morning the next day to get some photos before it opened and was filled with people. We did a quick batch of photos at Notre Dame and at the Louvre in the morning before the rest of the city awoke. 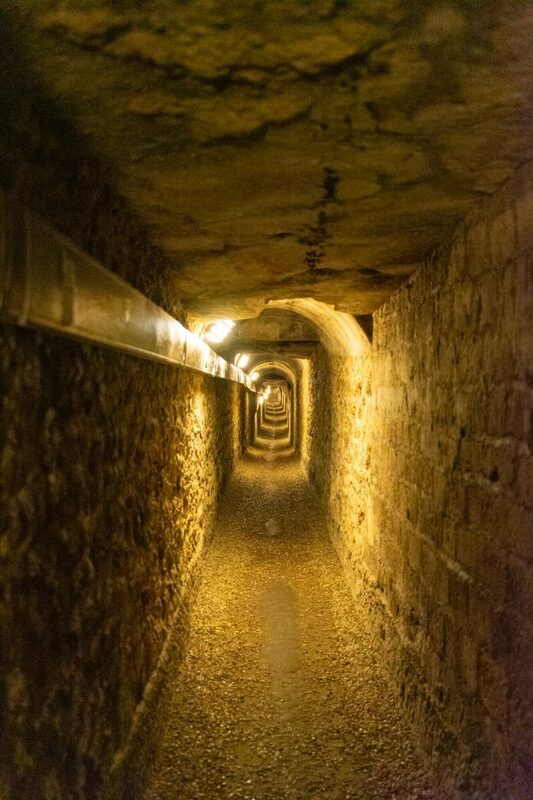 Following this we headed in the direction of the Paris Catacombs over in the 14th Arrondisement. We had actually tried to visit previously, but the queue was huge, so by going slightly earlier we hoped to get into a decent position and not be waiting too long. When we arrived at around 10am the queue had started to make its way around the corner, but we were only waiting around an hour or so before we got inside. If you’re short on time, then it may be worth booking your ticket in advance which will let you skip the main line and join a shorter and quicker line. 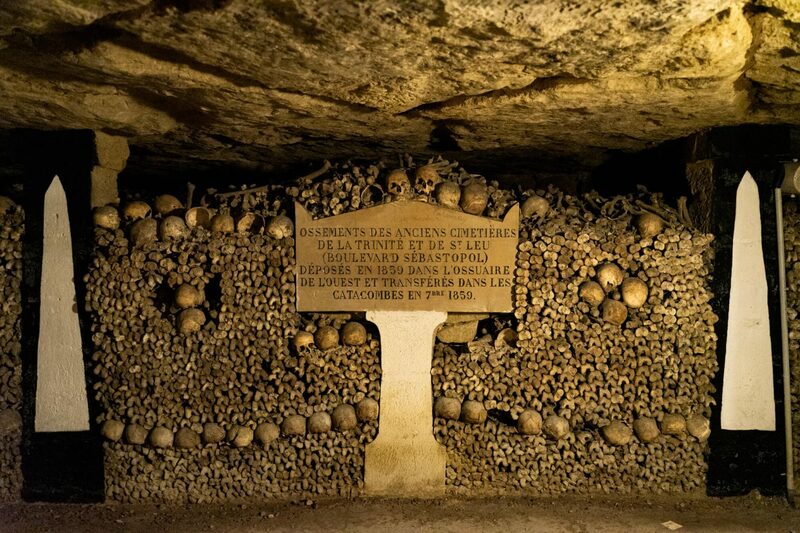 You can also book a Paris Catacombs tour, but we opted to just wander through ourselves. 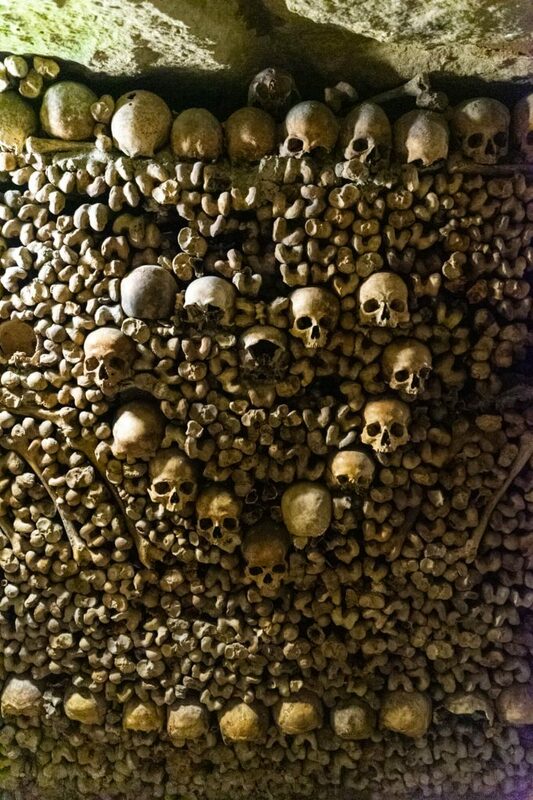 For those who don’t know, the Catacombs are basically a series of underground tunnels and caverns where the skeletal remains of around 6 million people were laid to try and combat the issue of overcrowding of the cemetaries in the city in the 18th century. 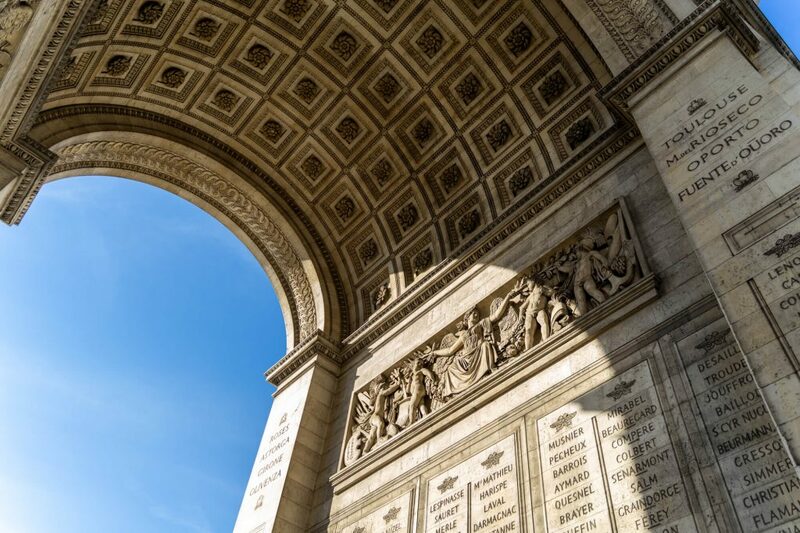 Today it is one of the major tourist attractions in the city and it’s possibly one of the most unusual things to do in Paris. If you’re looking for something completely different to do then I would highly recommend giving this place a visit. I think in total we spent around 2 hours underground in the catacombs. 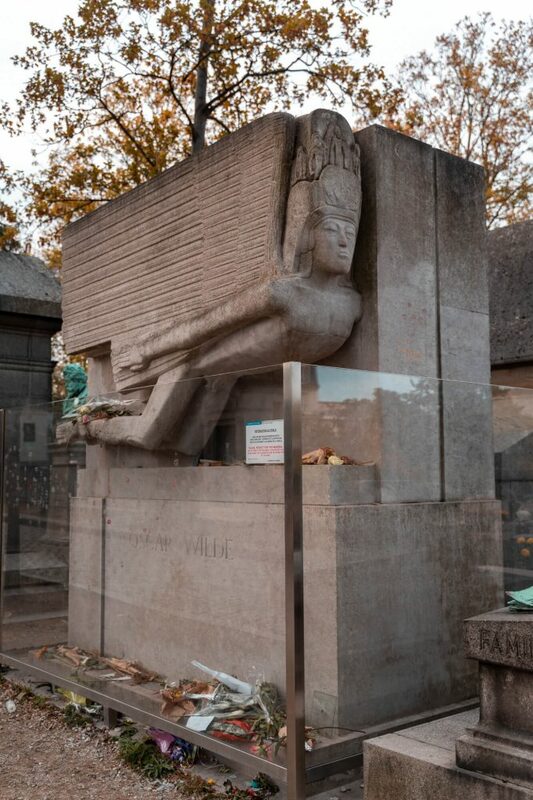 After climbing loads of steps we headed off towards Krugen for some lunch and then onwards to the Pere Lachaise cemetary to wander around some of the most ornamental headstones I’ve ever seen. 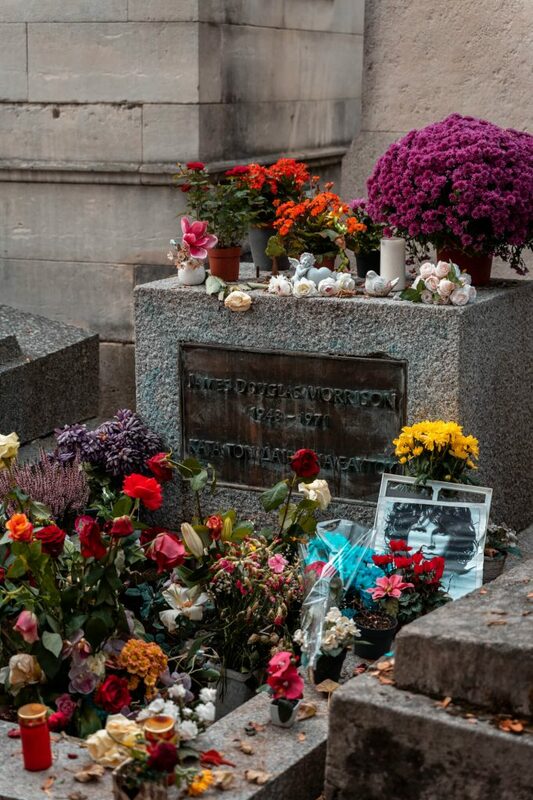 It’s also home to some incredibly famous people like Oscar Wilde and Jim Morrison. You may think it’s a bit odd to be visiting a graveyard, but I can guarantee that you won’t be the only people there if you do decide to go. It too is one of the top tourist attractions in the city with over 1 million people visiting every single year. Paris is full of shops, so we decided that we wanted to wander some more of the shopping that was on offer. 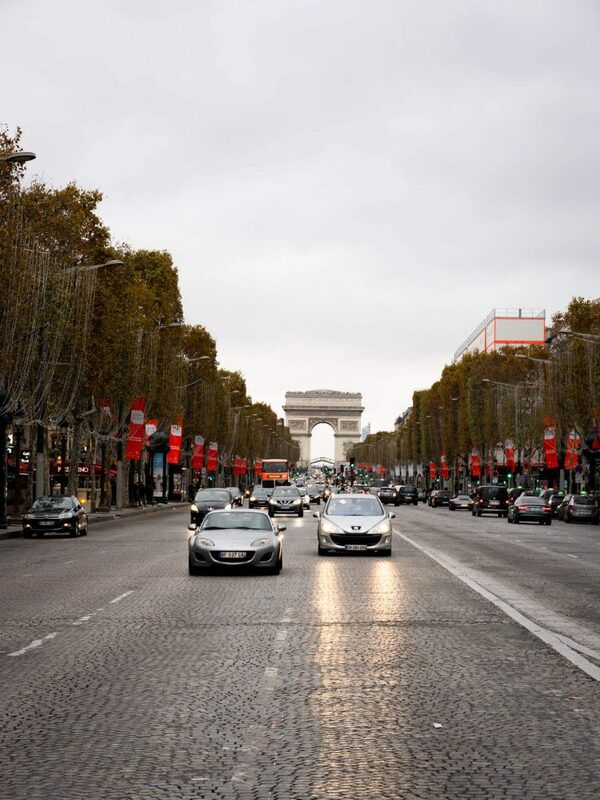 Heading over to Le Marais district which is one of the most well known districts in the city for shopping. 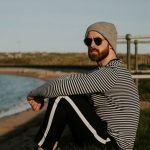 Full of high end fashion brands and streetwear brands alike, there was plenty on offer for both myself and Lauren to wish that we had more luggage allowance than just carry on bags. One of my personal favourites was hidden down Rue di Picardie called Structure Paris. A second hand streetwear shop selling all the limited release and highly sought after sneakers that you could think of. From The 10, right through to every Yeezy released. I was in my element but unfortunately my budget was a bit too tight for me to pick up a pair. At the top of Rue De Picardie, we also grabbed a bite to eat at PNY Marais, which was actually a bit disappointing as the aesthetics of the place far surpassed the level of food on offer. Never the less, with our bellies full and our legs well rested, we made our way to the Trocadero to watch the dazzle of the Eiffel Tower as it lit up the Paris skyline. We managed to get ourselves set up perfectly centred looking down the path to the tower, so hopefully the images live up to the experience although I think experiencing it first hand will always win. Also if you’re planning to visit the tower at night. 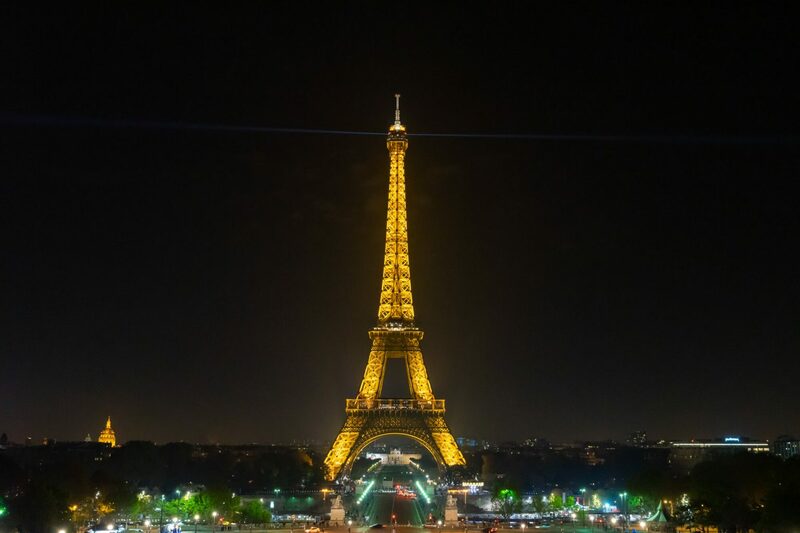 There’s a special display on the hour every hour where the lights on the Eiffel Tower will twinkle for around 5 minutes, so aim to be there as close to the hour mark to get a good spot. 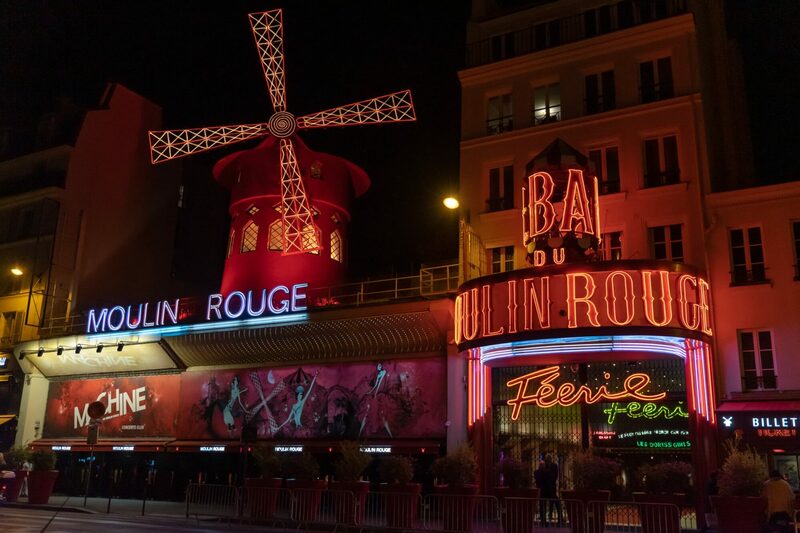 After getting some photos and just soaking up the experience we headed back onto the metro and up to the Montmartre district to check out another of the most famous buildings that illuminates at night. I’ll be honest here and say that it totally wasn’t what I was expecting. I expected it to be a little less modern, but it was completely the opposite. The bright neon lights are definitely the first thing that you spot when emerging from the underground and once your eyes have fully adjusted, the famous windmill starts to take shape. We grabbed a few photos, wandered around the area a little and then decided to call it a night as it was going to be a long but busy day ahead. Our final day in Paris was here and although it had been a pretty action packed trip, there were still a few things that we wanted to do before we had to leave late in the afternoon. We checked out of our room early, but were allowed to store out luggage at the hotel until we needed to leave. Off we went up to the Trocadero again to get some morning photos of the Eiffel Tower at sunrise. 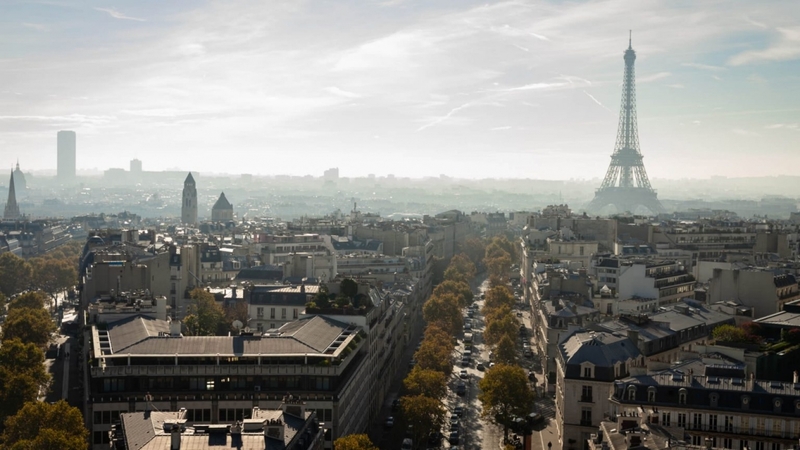 We didn’t actually want to visit or climb the Eiffel Tower as I felt that the main thing you look for on the Paris skyline is the tower, so we would have better photos and views from on top of the Arc De Triomphe. So off we went, paid the €10 entry fee for each of us and up we went. Climbing the steps to the top of the monument, you first come to a level that houses some information and statues relating to the history of the Arc de Triomphe as well as the gift shop. Now I’m aware that since our visit, there was unfortunately a lot of vandalism caused during the protests and these may impact any future visits if you’re planning on visiting at the beginning of 2019. You then climb a further set of stairs, taking you to the open top where you have panoramic views over the top of the city and down each avenue that comes off the central roundabout that the monument is on. It’s easy to get caught up just watching the world go by below, so expect to spend around half an hour to an hour up here, but this may take longer if it’s quite busy. The views over the city are stunning and thankfully we managed to plan our visit for a pretty clear day giving us views for miles in each direction. Our last stop on the trip that we wanted to visit was the top of the Notre Dame cathedral. Thankfully it wasn’t actually too busy and we breezed in to the stairwell in under 20 minutes. We had done plenty of climbing up spiral stairwells during our trip, but these felt like they went on forever. Although I think the Catacombs definitely win for longest windy staircase. Reaching the top we were faced with a bit of a squeeze as there wasn’t really much space to move around. Everyone was jostling for the best shots of the gargoyles meaning that we were quite often waiting for people to get their photo before you could move on as there wasn’t even space to squeeze past. 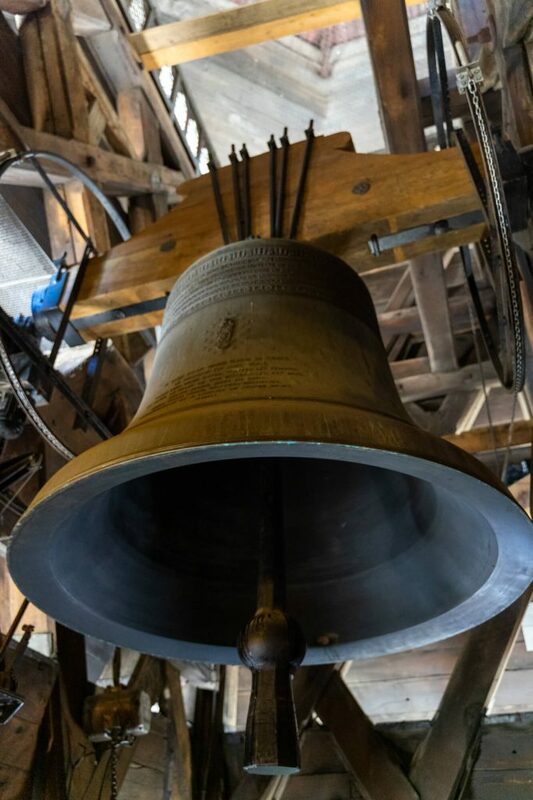 The bells are housed inside the belltower and are gigantic. The stairs up to the belltower didn’t feel too structuraly sound, but I imagine that if they’ve lasted this long then they’re probably fine. 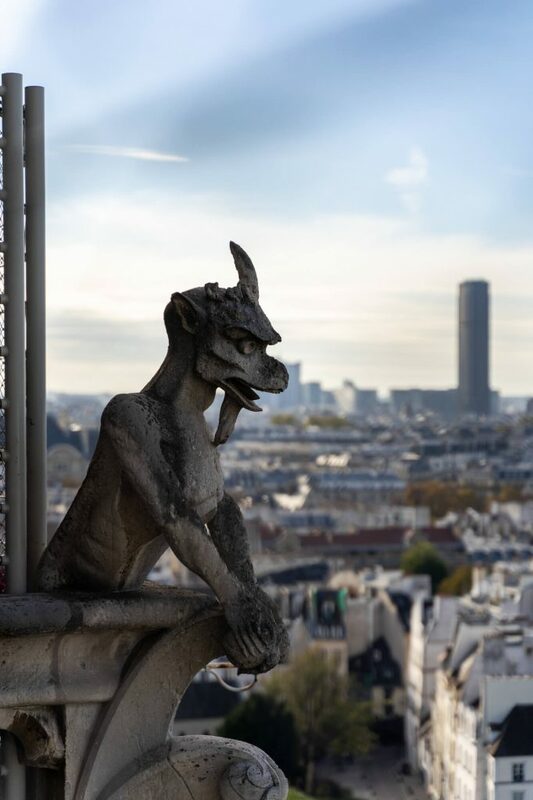 If you’re familiar with the Disney adaptation of the Hunchback of Notre Dame, then you would definitely recognise some of the gargoyles on show that have been used in the film version. Having used up all our time in Paris, it was time to call it a trip and head off to catch our flight. I can certainly say that although we had five days in the city, it was not enough to see and do everything but we did the best we could. I’m sure that we’ll be back to Paris some time in the future. It’s a city that has left a big impression on me and one that I think has become one of my favourites.